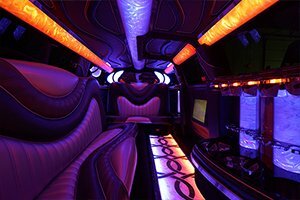 We have a luxurious fleet to choose from and provide party bus service to the metro Detroit and south east Michigan area. 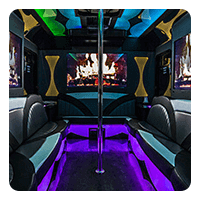 Our tiki Detroit party bus has flat screen TV's, a loud sound system, tropical tiki décor, and a stripper pole for a memorable night out on the town with your friends. Most importantly it has a tiki bar with granite countertops that's extremely convenient for when you and your friends decide to have a drink and socialize on board. 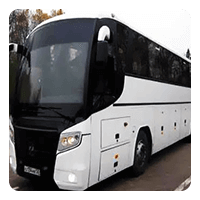 That's not all of the features that are available inside of our vehicles, so be sure to check out our selection and compare them to see what might be the best option for you and your groups of friends. 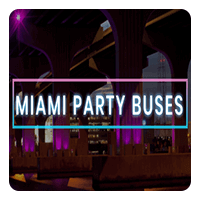 Give us a call to celebrate your next birthday, night out, bachelor party, bachelorette party, corporate event, or just to go driving around town to see all of the sights. 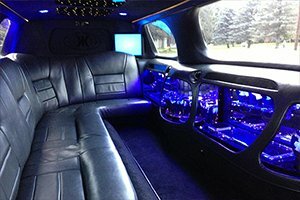 We cater to all types of events in our Detroit limousine. 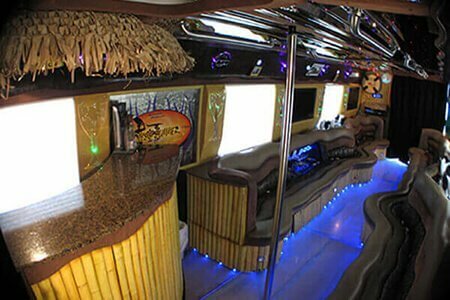 The Tiki Party Bus is coming soon! 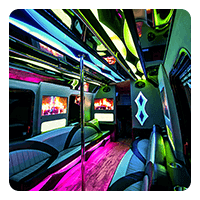 Give us a call today to get a quote on Detroit party bus service for your next event. We operate 24/7/365 and we have no limit on how many hours you can rent, so you can bet that we will be a welcome addition. We provide you with ice, cups, and paper towel so that you're fully prepared for the bachelor party experience. 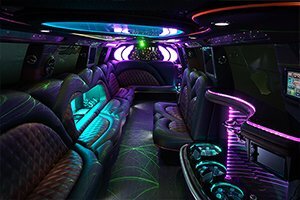 We know that safety is a large concern, particularly for events that include minors like proms and homecoming, so you can rest easy knowing that we only employ professional chauffeurs for your peace of mind. Not only that, but we have a team of professionals working behind the scenes to assure everything is premium working order. The tireless maintenance makes for some of the safest vehicles on the road! We can service anywhere in the metro Detroit area or anywhere in Michigan for an extra fee. When we say any event, we truly mean it! 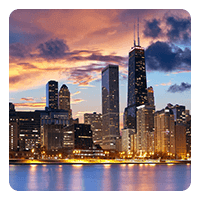 You would be surprised if you saw the full list of different events that we've successfully provided transportation to in the past. Our attention to detail and history of adaptability makes us the prime choice for any party, celebration, or get together that is being planned in the area. Our reputation speaks for itself, as we are often the top recommended company for those looking to get from point A to point B in style and comfort without sacrificing affordability. You work hard for your money, and it's important that you get the value that you deserve. We know all of these roads quite well after years of rolling around town with our partier passengers. So, no need to look up directions or struggle with traffic and construction, as we will take care of all of the little problems that seem to add up. It doesn't matter if you're planning an elegant wedding at a spot like the Inn at St Johns or a bar hopping extravaganza at places such as Park Bar, The Whisky Parlor, or Standby. We have more than one vehicle for you to choose from, so you can customize your transportation as far as passenger capacity goes. Remember, if you happen to have any questions regarding our vehicles, we're here for you and will be happy to fulfill any of those curiousities. If you're somebody in charge of coordinating an event to boost the teams overall morale, you definitely can't go wrong reserving with us. 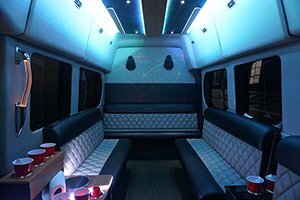 The fun interior of the vehicle lets you relax, socialize, and build relationships with your coworkers. Similarily, it can be a great tool for making a great first impression during a business meeting. It will be an adventure from start to finish! We will be happy to help you reach your goals regardless of what they may be. We're looking forward to discussing the specifics of your event with you to ensure that it works seamlessly. This vehicle is perfect for breaking the ice and letting the fun flow! 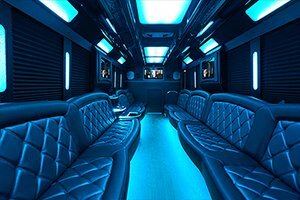 Planning a party is always fun, but planning a get together that has a theme with a Detroit party bus along for the ride is exhilarating. 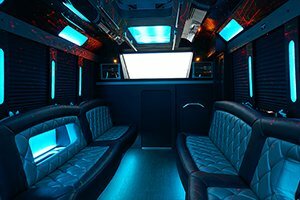 With our vehicle selection, we think you'll find it easy to find a choice for your party that matches the specific theme exactly. With color changing lights and a contemporary interior, it's sure to be easy to adapt to all of your plans. Speak to one of our knowledgeable staff members when you're in the beginning stages of planning. This will make the process that much more efficient when we're able to consider all of the specifics of what you're doing. It's sure to be one of the most memorable nights that you've had. We're all familiar with the nightlife scene in this area and how it's been growing like wild fire! With new bars, restaurants, and clubs opening seemingly each week in the downtown and Midtown areas, it will be easy to come up with an itinerary of all of the hottest spots. If not, we can definitely help with some suggestions! Why use the same old taxi or rideshare service when an option such as this exists? There aren't any inconveniences to deal with, and you'll feel like a celebrity rolling around town in such luxury and convenience. We are the missing piece to the puzzle as it relates to your celebration.